This spring, Westfield wants to help you spend quality time with your nearest and dearest with their Make a Date campaign, running in-centre from May until the end June. Make a Date with friends or someone special and head to Westfield London to enjoy a range of fun activities. Whether you’re looking to try your hand at a new craft or sport or simply have fun with the kids, Westfield has your date covered. Make a Date… with your favourite TV characters! Make sure you are not cooped up in-doors this May half-term by heading to Westfield between the 26th and 31st May for a date with the kids, where they can enjoy special character story times, learn new skills and just have fun! Build-a-Bear: Build-a-Bear enthusiasts will have the chance to hang-out with the brand’s much-loved mascot as he tours the centre meeting his biggest fans. Kids in the Garden: Westfield is rolling up their sleeves to help green-fingered kids decorate their very own plant pots and will be giving away free seeds to take home so kids can ‘grow their own’. 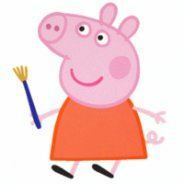 Peppa Pig and Daddy Pig: Westfield will roll-out the pink carpet for famous children’s TV characters Peppa Pig and Daddy Pig, who will make a special appearance to share a story or two about their recent adventures puddle jumping! Make a Date… with tasty treats! After a date at Vue cinema, head to the Real Greek and get 50% off the bill every Wednesday until the end of June with the presentation of a Vue Westfield London cinema ticket. Whether you want to refine your palette or are simply after some fun with a friend, head to Searcy’s Champagne bar and take part in Champagne Tasting held in conjunction with Lansons. Make a Date… at a masterclass! Learn how to make cocktails every Tuesday with Penang! Take part in life-drawing at The Bull and perfect your artistic skills. From 20th May to 19th June, Renault will take over The Atrium and launch their new Captur crossover with a range of specially created fun zones tying into the three different car collections. The Arizona zone is designed to replicate the Grand Canyon; a 24ft climbing wall with 3D floor prints will make it seem like you are climbing above a sheer 1,500 feet drop, whilst live sand sculptures and dust art, all surrounded by cactus plants, will ensure to bring out the adventurous spirit in everyone. The Manhattan zone is home to New York’s finest Piano Cocktail Bar and features a “flair barman” who will create cocktails beside an automated grand piano and an impressive collection of New York inspired haute couture fashion. Head to the Miami zone for a relaxed, sun-drenched experience. Palm trees, sun loungers, a traditional South Beach inspired lifeguard beach hut, NBA replica Miami basketball court, sand sculptures and even a Miami Beach DJ will add some Latino flair to your day. When parents sign-up their children to the Westfield Kids Club they will receive a variety of great benefits including a welcome pack, membership card and regular newsletters with information about the fun family events taking place at Westfield London to ensure you never miss out on the fun.